Mazda's new 3 is stylish and modern looking. 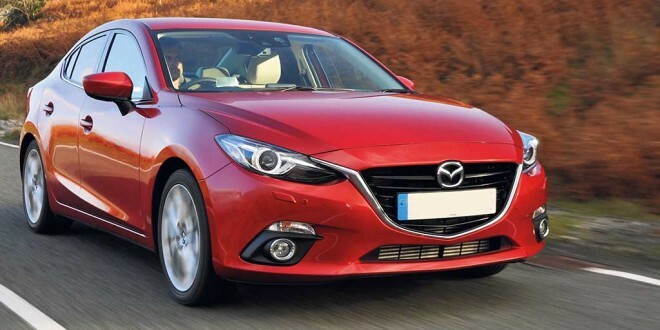 Mazda released their latest 3 saloon and hatchback a few months ago and at first glance, it’s obvious that the car has been completely redesigned from the ground up. The styling is influenced by Mazda’s new Kodo design language, already seen on the larger 6. With its flowing lines, it must be the best looking mid size car out there, especially in saloon form. From any angle it looks right, but the side profile is particularly arresting. 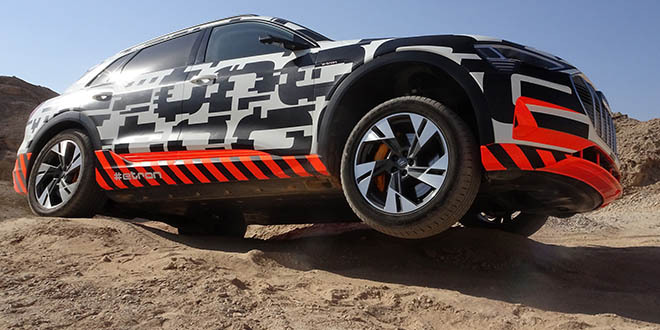 It’s not only the looks that have been overhauled, the 3 is built around an entirely new platform, which uses high strength steel to be both stiffer and lighter than before. This is all part of Mazda’s SKYACTIV range of technologies, designed to increase fuel economy and reduce emissions. Essentially, Mazda use conventional engineering solutions in the pursuit of efficiency. This includes chasing weight savings, better aerodynamics and more efficient engines. There are two engine choices, the range starting with a 1.5 litre petrol, developing 100 bhp. The lions share of sales will probably be the EU6 compliant diesel, which at 2.2 litres is much bigger than the class norm. That’s nothing to be afraid of though. With 150 bhp, there’s always plenty of power on tap so the engine rarely has to work hard. Under the old taxation system, a 2.2 would be taxed out of the water, but with emissions based taxation, the 3 fares very well with a figure of 104 g/km, which brings all the benefits of cheap road tax. The impressive interior of the new Mazda3. The interior is very well built and nicely designed, with a large 7” touchscreen in the middle of the dashboard. Not only does this control the audio and Bluetooth systems and navigation, if installed, it can do a lot more. This is the first Mazda with the capability of connecting to the internet and as standard, it can stream internet radio stations and link to facebook and twitter, allowing contact with the outside world while driving. As long as the driver stays away from the system, I’m fine with that. I’d hate to be hit by someone just because they were in the middle of sending a tweet. There’s a huge rev counter in the middle of the instrument panel in front of the driver and the rest of the gauges are ranged about on either side. There’s a red surround on the rev counter, which makes it difficult to see the red line at a glance and this is the only noticeable ergonomic error. I think they should have gone with a different colour. Although not standard, my car also came with a head up display, which projects speed and other information onto a screen in the driver’s eyeline. It’s a surprisingly useful feature and enables you to keep your eyes on the road for a greater proportion of time. The new chassis is well able to cope even with our bumpy roads and I found the ride very comfortable in all circumstances. Handling is very precise, aided by decent feel from the steering wheel and the 3 proved to be a very nice car to drive. There’s performance aplenty from the 2.2 litre engine, which is mated to a slick six speed manual, so it’s very easy to make rapid progress. A six speed automatic is also available as an option. Standard features are generous, with even the base model coming with air conditioning, start stop, electric windows, usb and auxiliary inputs, steering wheel audio controls, remote central locking, daytime running lights, alarm/immobiliser, ABS with brake assist and hill hold assist. Further options such as dual zone climate control, cruise control, internet functionality, surround sound, keyless entry and city stop are available with different trim levels or as options. The range starts at €21,595, which buys the 1.5 litre petrol in base SE trim. Most will look to the diesel, which at first glance seems expensive at €25,295 in Executive trim. Remember though, that this is a 2.2 litre engine, which is bigger than the competition, so it’s not strictly fair to make a direct comparison. Looked at in that light, the Mazda3 is very well priced. Next up is Executive SE trim and Platinum and GT trims are also available. The two body styles on offer are a five door hatchback or a four door saloon. I liked the Mazda3 very much and it’s certainly a worthy alternative to some of the more obvious choices in the class.